The Bartlett Arboretum & Gardens offers a spectacular setting for those that want to venture away from the conventional hotel or hall venues. The Arboretum's colorful and majestic trees and gardens offer the perfect backdrop for private parties, corporate events and weddings. Indoor and outdoor locations are available to rent throughout the property. In addition to special events, our facilities may be rented on an ongoing basis for weekly or monthly meetings in our Silver Educational Center classroom. 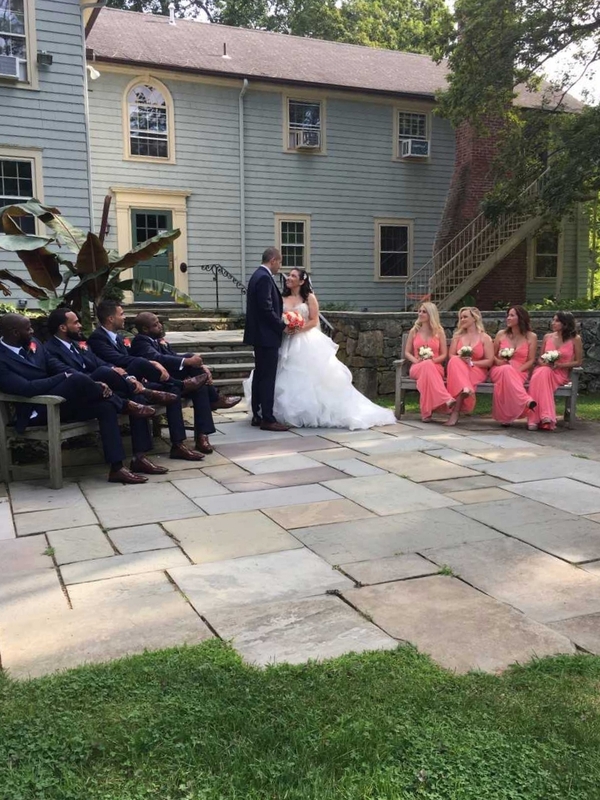 Green Weddings: Imagine saying "I do" on one of the most beautiful properties in Fairfield County. 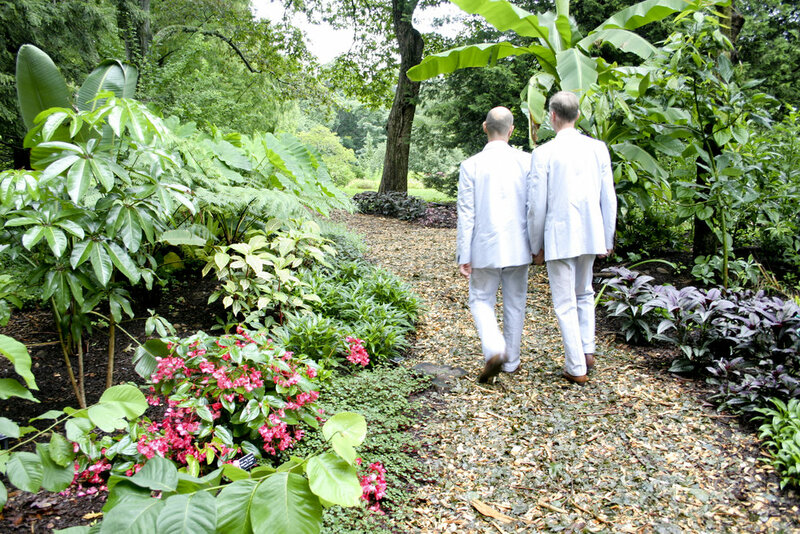 The 93-acre Arboretum offers several romantic settings for a limited number of weddings each year. 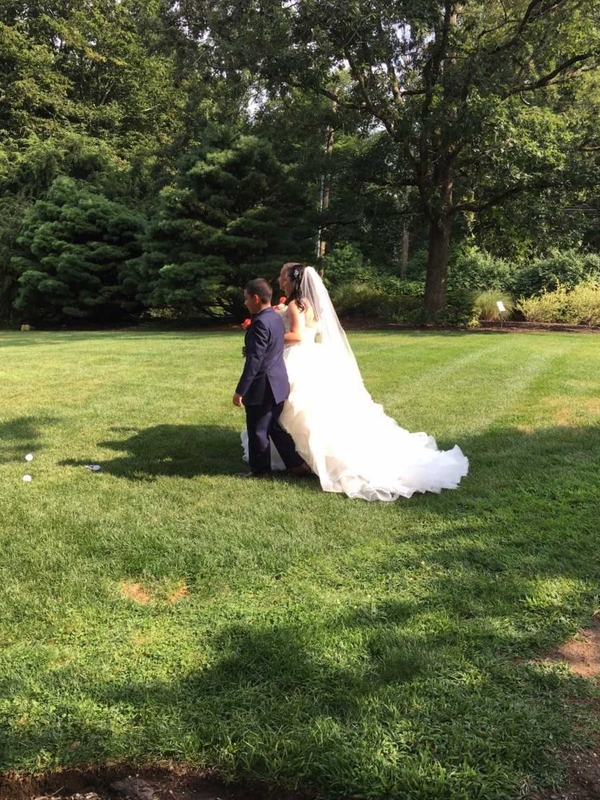 We specialize in weddings for up to 100 guests. Larger parties may be accommodated. 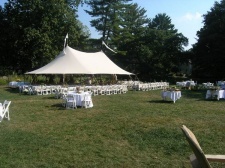 Corporate Events: The grounds and facilities at the Bartlett Arboretum are ideal for corporate meetings, events, volunteer days, parties, and educational retreats. Nonprofit Organizations and Private Groups: Venture away from traditional settings by having your meeting, retreat, or gathering at the Arboretum. Your guests will be able to connect with nature, unplug, and explore our beautiful grounds. Private events, large or small, can be booked with advance notice by calling Rosa Lawrence at 203.487.5264, or by emailing her at rlawrence@bartlettarboretum.org.